On Monday, February 12, the White House officially announced plans to eliminate federal funding for arts and culture, including the National Endowment for the Arts (NEA), National Endowment for the Humanities (NEH) and the Institute of Museum and Library Services (IMLS), for FY 2019. Find more about what’s at stake below. 1. Call your representatives: Calling your legislators is the most effective way to reach them. Use our phone script to urge your representatives to not eliminate federal funding for the arts. 3. 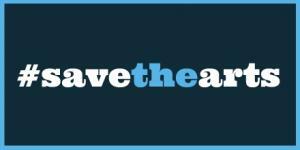 Post on social media: Check out our social media toolkit below for suggested tweets and #SaveTheArts graphics. 4. Sign up for arts advocacy alerts for more updates as this budget is debated by Congress in the coming weeks. 5. Donate to support our advocacy efforts with a monthly or one-time donation. Your support is critical in the coming weeks as Congress develops the federal budget. Please stay tuned for updates as the budget process and our response to it evolve. Every one of us must speak out against these proposed cuts - make your voice loud, and be heard!. With your help, we can ensure that the arts remain accessible and affordable for all. Below is a chart that contains the White House budget requests for the cultural agencies. The Trump Administration’s proposed FY 2019 budget calls for the termination of our nation's cultural grant-making agencies, including the National Endowment for the Arts (NEA), the National Endowment for the Humanities (NEH), the Institute of Museum and Library Services (IMLS), and the Corporation for Public Broadcasting (CPB). Washington Post, February 12: Trump’s budget eliminates NEA, public TV and other cultural agencies. Again. Need to find someone else? Find your senators’ accounts on this Twitter list and find your representative’s account on this Twitter list. Click the thumbnails below for larger versions you can save. Support federal funding for the arts, including the #IMLS #NEA #NEH #CPB #SaveTheArts #FedFundsMatter Tweet It! America needs arts and humanities to be great! Keep #NEA #NEH #CPB #IMLS #SaveTheArts Tweet It! Philadelphia’s cultural orgs, between 2012 + 2017, received more than $7.7 million from the #NEA alone:http://bit.ly/2nMALlf #SaveTheArts Tweet It! The arts and culture sector is a $704 billion industry--4.2% of the nation’s GDP! #SaveTheArts #FedFundsMatters Tweet It! The arts generate 4.7 million American jobs and a trade surplus of $245 billion. #SaveTheArts #FedFundsMatter Tweet It! NEA/NEH/CPB are a tiny fraction of federal spending – but leverage a great deal of other support for the arts #SaveTheArts #FedFundsMatter Tweet It! Grants from NEA and NEH serve every congressional district. #SaveTheArts today! #FedFundsMatter Tweet It! 40% of NEA-supported activities take place in high-poverty neighborhoods. #SaveTheArts Tweet It! In 2016, 55% of Americans favored doubling the NEA’s budget. 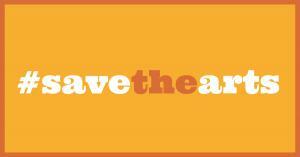 #SaveTheArts Tweet It! Why Art Matters to America: http://nyti.ms/2luadFk via @nytimes #NEA #artsadvocacy #SaveTheArts Tweet It! The arts are a $704 billion industry. Support the #NEH #NEA #IMLS and #CPB. #SaveTheArts Tweet It! The arts equal jobs, employing 4.7 million workers. 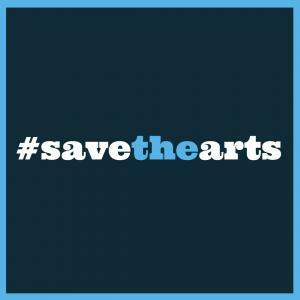 http://bit.ly/2lUMlJJ #SaveTheArts #NEA #Arts #artsadvocacy Tweet It! Five things you didn’t know were funded by the #NEH http://bit.ly/2nO28vd #SaveTheArts Tweet It! In 2016, the National Endowment for the Arts supported hundreds of projects. Find them all here: http://www.neafunded.us/ #SaveTheArts Tweet It! #TBT: In 1969, Mister Rogers voiced support for public broadcasting http://bit.ly/2mCtQOE Help #SaveTheArts Tweet It! #NEA makes up a tiny fraction of the federal budget, yet its impact on art & culture is immense bit.ly/2l8uFP4 #SaveTheArts Tweet It! The impact of the @NEAarts on American culture https://youtu.be/JTefGaIYDbc #SaveTheArts + #NEA today! Tweet It! Each day, 4.8 million Americans go to work in Arts and Culture industries: http://bit.ly/2mCIULO #ArtsAdvocacy #SaveTheArts Tweet It! #NEA makes up a tiny fraction of the federal budget, but keeps America’s museums alive: http://bit.ly/2lUHVlY #SaveTheArts Tweet It! Read our guide to calling your representatives and when you’re ready to call, look up your representatives. Hello! Thank you for taking my call. I'm a constituent from [CITY/TOWN] and I am calling to express my support for the National Endowment for the Arts, the National Endowment for the Humanities, the Institute of Museum and Library Services, and the Corporation for Public Broadcasting. I understand President Trump is considering eliminating the NEA and NEH, IMLS and privatizing our public broadcasting. Do you know what [elected official]’s position is on this proposal? Thank you. As a constituent, I hope that the [congressman/senator] will reject all attempts to terminate or reduce the size and scope of the NEA, NEH, IMLS and to privatize public broadcasting. These institutions create jobs, educate children, support arts learning at any age, and promote access to the arts in every community across America.